Near Cleveland, Harit comes home from work every night and puts on his dead sister's clothing, pretending that she's still alive for his sick mother. Ranjana spends hours writing paranormal romance novels, trying to grapple with the thought that her husband might be cheating on her. As Ranjana and Harit's paths cross, they begin one of those weird, wonderful oddball friendships that upsets everything that once seemed impossible to change. 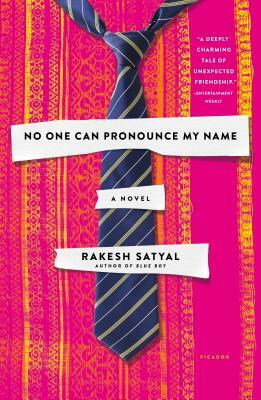 This is a sweet novel that tells the story of how they each came to be so lonely, and how infinitely variable loneliness can be, and I loved Satyal's wry portrait of the selfishness and generous compassion that can coexist in relationships.